The Boat Fittings team would like you to feel complete confidence in our service. First and foremost we love boats and boating, and have been doing so for a very long time. Well I said we had been playing around in boats for a long time, here is one of us a few years ago! We are both qualified mechanical engineers. Steven (on the right here) is an expert at engine development, and has a vast amount of experience with engines and mechanical components of all types. Richard (that's me on the left), well I have a great deal of experience in structural design development and a lot of experience with composite structures. We feel that our boating background and engineering knowledge combine to give you excellence in both our product selections and our advice and support. Our mission is to bring together a selection of high quality, great value products allowing you to easily find what you are looking for and purchase with ease. We are happy to serve both trade and individuals, and hope that by providing an efficient service you will come back to us again. We encourage you to register with us to make future orders even easier than the first. Thankyou for your visit! In The Beginning: Here we have Peter Stanton (our father), who in 1968 bought a 24ft fibre-glass Trident sailing boat, doing a lot of the fitting out himself. This was the seed of our many years of boating experiences. 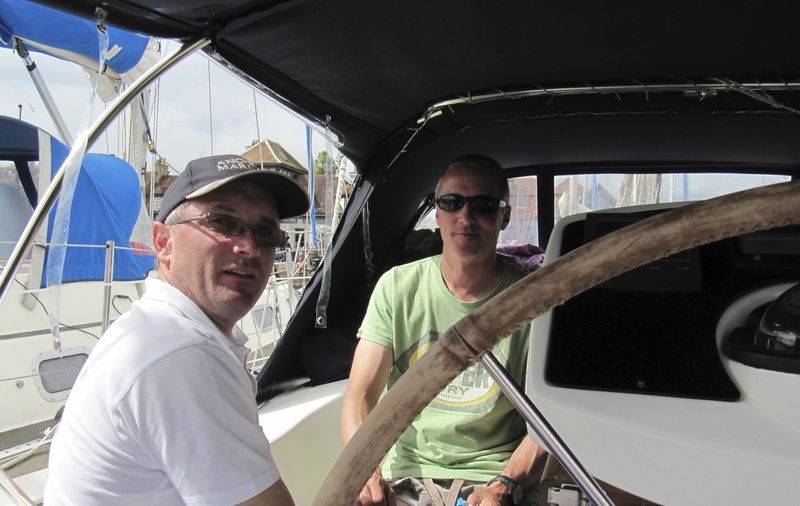 Peter was a great sailor, often undertaking single-handed voyages that most of us would think twice about today with crew and modern navigation equipment. Trident 24: Our first boat was a Trident 24. She was bought in 1968 as a partially complete kit. With bilge keels she was ideal for the shallow waters of Poole harbour, berthed just off the Wareham channel by Rockley Sands. Trapper 500. Our family built this in kit form in our back garden from the supplied hull and upper structure mouldings. Unusually Trapper Yachts were so impressed with our build quality that they issued the boat with an official Trapper serial number. Fairline Mirage: Our first motor boat was a Fairline Mirage. She provided excellent levels of comfort compared to our previous sailing boats, and made a great family holidaying boat as long as the sea-state wasn’t too severe. Jeanneau Sun-Odysee 32.2: This lovely sailing boat is amazingly practical, equipped with auto-helm, and self-furling foresail and mainsail. On her maiden voyage from Eastbourne (where we purchased her) to her home port of Brighton she more than proved her sea-worthiness when the forecast winds of 6 to 7 turned out to be often gusting 32 Knots. With towering waves off our beam, we just bobbed nicely over them while the main sail kept us steady. Bayliner Speedboat: This is our most recent boat, great for water-skiing trips around Dorset, Devon and Cornwall. She has a 5 litre Mercruiser inboard and after sorting a few issues with ignition and carburation after we bought her she now runs like a dream.